Waist cinchers and waist training are a hot topic these days. They have some high profile celebrity endorsements, and many claim they’re the easy way to get a perfect hourglass figure. But how do they actually work? The idea of getting a perfect body just by wearing a special garment sounds too good to be true–and it is. But waist training can be a helpful and noticeable part of a complete diet and fitness regimen, and what it’s able to do, it does work. Here we’ll take a look at how waist training works, and what the best waist cinchers are. We will introduce you to a comparison chart detailing the top 6 products. Hope it will help you have more information to make the best decision ! The first question is what a waist cincher actually is. It’s similar to a corset and is sometimes considered a kind of corset, but it’s a specific category with a specific purpose. Like a corset, waist cinchers are a garment that wraps around your waist and compresses it (also you can read the best body shapers brands post). Both keep their shape and hold your waist in with “boning,” or thin metal or plastic rods that go up and down the garmet, and both usually fasten in the front with hooks and eyes and sometimes have laces in the back to let you adjust the tightness. So how is a waist cincher different? First of all, they’re usually made of different materials. Most waist cinchers are made of thick latex, or sometimes nylon. They also cover different parts of the body–corsets typically go all the way from the bust to the upper hips, while cinchers just cover the waist. But the main difference is function: corsets are basically intended like any other kind of clothes, for how they look. Cinchers are specifically designed to work with waist training, which means they have a different, tighter fit, promote perspiration, and are designed for you to be able to wear them all day and even exercise in them. There’s unfortunately no way to target what fat your body loses, but waist training is an effective way to at least reduce the appearance of fat around your middle. On the one hand, they make you look slimmer while you’re wearing them the same way a corset does–they redistribute your body fat by compressing it and moving it around. Because they’re made of stiff material, they also keep your back straight and improve your posture, which can make your silhouette look slimmer as well. But what really makes waist cinchers different is that they can be used for waist training (also you can see a review of the best waist trainer brands). Waist cinchers do also help you lose weight, but for slightly different reasons than they change your shape. They do it two ways: first, because they’re made from non-breathable materials like latex, they’ll increase your abdominal temperature and make you perspire more. Losing water weight can make it look like you’re getting really dramatic results really fast, and when you see people online talking about losing two pounds in a day with waist training, that’s probably what’s going on. That weight will come right back as soon as you hydrate, though–even with waist training, you’ll have to be a little more patient. The way waist cinchers help you lose weight permanently, though, is just by restricting your stomach. When your stomach is pinched tight in a cincher, you can’t comfortably eat large meals. That by itself can be a huge weight loss aid. 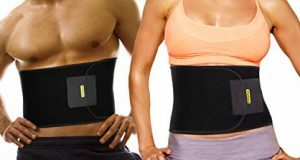 Also read more about best waist trimmer belts. What’s the best way to do waist training? First of all, be sure to get a cincher that fits. The point of a waist cincher is that it’s tight, and it won’t be comfortable at first, but it should never cause you pain or make it hard to breathe. As your shape changes, you can graduate to smaller ones. Staying hydrated is very important, and because the amount of food you’re able to eat will be restricted, eat healthy to make sure you’re getting all the nutrition you need from what you’re able to eat (Read more about The Importance of Good Hydration). Opinions are divided on whether it’s a good idea to wear a waist cincher while you exercise. Some say that wearing it during exercise is an important part of the program–it increases your body temperature to burn more calories, and more importantly, it keeps your core muscles engaged to help you get toned abs faster. But cinchers do also dehydrate you and restrict your lungs, making it hard to get enough oxygen when your heart-rate starts to climb. Don’t do anything that isn’t comfortable for you, and ease into your new routine slowly. Start with some light stretches in your cincher before attempting full-on cardio routines, and if it isn’t working for you, just take it off when you exercise–you’ll still get the fat re-distribution effect, and you can make up for the ab work by doing extra core exercises. Whether or not you exercise in your cincher, it is important to exercise. While using a cincher to exercise helps build up your abs, oddly enough, wearing one without exercising will do the opposite. The cincher holds you upright, and when you wear it all day, it basically starts doing all your abs’ everyday work for them. Your abs can actually start to get weaker than they were before—your waist will be small but flabby, and doing things like bending over can get embarrassingly hard! Keeping up a strength training regimen (in or out of the cincher) will prevent that problem. It may be tempting to keep the cincher on all the time, but it’s not a good idea to sleep in it. While it works by keeping your fat compressed for long periods of time, it also pinches your internal organs, and those need to have a break sometimes. If you do it for 10-12 hours a day, that will be enough to get the effect. It’s also not usually recommended to do a waist training program for more than six weeks at a time, and as with any new health plan, talk to your doctor before you start. With that said, waist cinchers can be a great way to get the shape you want fast. Here’s a run-down of the best waist cinchers, and happy training! Apart from its Kim Kardashian seal of approval, Ann Chery’s Workout Waist Cincher is a premium option. It’s made of high-quality latex with stiff but flexible boning and 100% cotton lining, so you can comfortably move and sweat in it. It’s also durable and well-made, and will stand up well to daily use and high-impact workouts. Ann Chery offers excellent customer service, too, so in return for paying a little more, you know that you’ll have help if there’s any problem with it. It also comes in a few colors and has a cotton exterior and cool design, so if you want to wear it outside your gym clothes you can do it with style. It tends to run small and is a little shorter than some cinchers, so if you have a long waist it might not be the best option, and you’ll want to be sure to get the right size (it’s OK if it’s pretty hard to get on the first time you wear it, it will break in, but do be sure you can breathe.) While it’s designed for exercise, it is also a pretty stiff option–it will get results, but isn’t for the faint of heart and will involve some discomfort. Another high-quality option from Ann Chery, this option is a little longer, and has a latex exterior. It’s less breathable, longer, and stiffer than Ann Chery’s sport model, and is intended for all-day use rather than working out in. It is a very tight and restrictive model, though. It will pull you in dramatically, but some find it a little too extreme to sit or stand in for very long. But if some discomfort isn’t a problem for you or you’ve already made a start with waist training, it will help you get dramatic results. Squeem’s compression trainer has the benefit of being one of the more comfortable waist cinchers out there. It’s firm enough to get that waist training effect, but has a more breathable lining and is a little more flexible than some other waist cinchers. Your results may not be as dramatic as quickly, but you’re less likely to give up on waist training because you can’t function or breathe. After a few days it will get broken in—a process that involves both your body molding to its shape and it molding to your shape. If you wear something clingy or sheer, it will show through your clothes, but it disappears better than other waist cinchers of the same stiffness—another quality making this a great option for those who need something they can wear all day at work and still function and look normal. If you want to try waist training but don’t want to spend fifty or sixty dollars on your first attempt, Charmian’s waist cincher may be the way to go. It’s significantly cheaper than the other options so far, although you will find that it wears out quicker—but since the idea is to move to progressively smaller cinchers, that shouldn’t be too much of a problem. Don’t be deceived by the sound of steel boning—the “steel” here is actually spiraled steel wires, which keep shape but are a little more flexible than some of the stiff plastic options. This one is also a vest, which means it goes up your back and has straps in the front, keeping you from getting a roll at the top. This is another lower cost option, but is stiffer than the Charmian cincher. It’s marketed as a sports girdle, and is designed to engage your core muscles and move with your body. It is, however, very tight and restrictive. Some users report that they weren’t really able to work out comfortably in it, and it may be difficult to do if you’re not experienced with exercising in a cincher. Regardless of whether you exercise in it or not, Yianni’s waist cincher will pull your waist in dramatically, and can definitely work to get the waist-training, fat re-distribution effect. It also runs small, so even though it should fit tight, be sure to get a size that still lets you breathe and function—waist training doesn’t work if you aren’t able to keep it on throughout the day! La Reve’s waist cincher rides the line between a cincher and more standard shapewear. It will help with reshaping your belly post-partum and can work during exercise to help engage your core. But what makes it different from the other cinchers here is that it’s made of nylon rather than latex, which is a more flexible, breathable material that disappears better under clothes. It’s more like an intense version of a girdle or Spanx, and may be the way you to go if you want to look good at a date or party but don’t have weeks to spend training your waist, and don’t want to worry about being uncomfortable. But it will give you a more dramatic shape change than regular shapewear while still having comfortable and high quality material, and with some time can start to get waist-training effects. As the list above shows, there are a number of factors that make one cincher different from another. 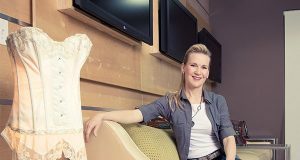 Things like the boning, material, lining, cut, and length all affect what your ultimate experience of the cincher will be–whether it’s comfortable or tight, suitable to work out in or not, bulky or smooth under clothes, quick and dramatic or slower and subtler. So which one should you buy? It all depends on your lifestyle and what you want from your waist training regimen. Are you ready to invest in a quality product and be a bit uncomfortable for a while? Either one of the Ann Chery models is probably the choice for you, depending on whether you want an exercise aid or a dramatic but more sedentary cincher. Are you OK with some discomfort but aren’t quite ready to make the leap of investing sixty dollars? Yianni could be your best bet. If you’re ready to commit to waist training but are nervous about getting a product you can’t function in, Squeem is a good choice, and if you want to test out the idea of a cincher rather than more traditional shapewear, you’ll probably want Charmian or La Reve. Waist cinchers and waist training often get billed as an easy way to get a perfect body. They aren’t quite that magical, but coupled with diet and exercise, as well as some patience and discomfort, they can help you deal with the body shape issues that aren’t connected with weight loss. Whether you naturally carry fat around your middle or you came out of a pregnancy shaped differently, waist cinchers can be an effective way to get the results you want out of your workout routine. Don’t be afraid to take the leap into waist cinchers, and happy training!